You can make a payment by credit or debit card at the time of placing your order. For some items, and deliveries that are part of a collection we offer the option for you to pay for your goods after you have received them. 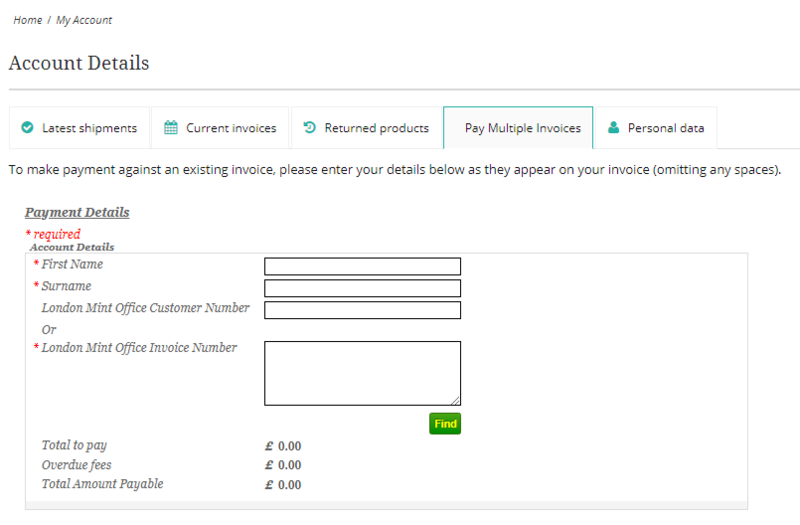 If you choose this option, you will be sent an invoice with your order and full details of how to pay are included on that invoice. You can also pay for your deliveries and see the status of any payments online – go the My Account Page on the top right corner of our website. Internet & Telephone Banking: Account Number 22048647 and Sort Code 40-26-12. Please ensure you enter or quote your ten digit Customer Number (beginning ‘60’) as the payment reference. Your Customer Number can be found at the top right of your invoice. Credit or Debit Card – either by post to the address below (please include remittance slip on your invoice) or by calling our Payment Team on 0800 037 4321 (Monday to Friday 09.00 – 17.30).